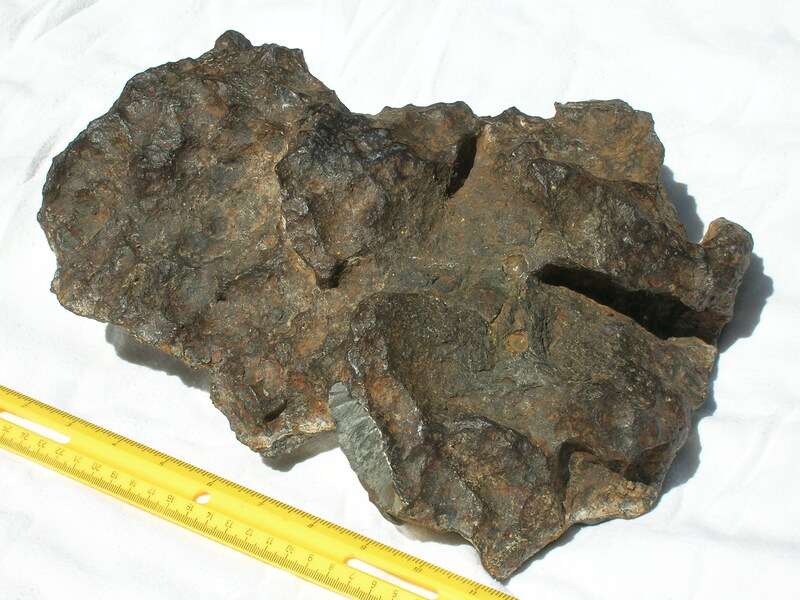 The recovery of the meteorite was described in much greater detail in the May 2007 issue of Meteorite Magazine. 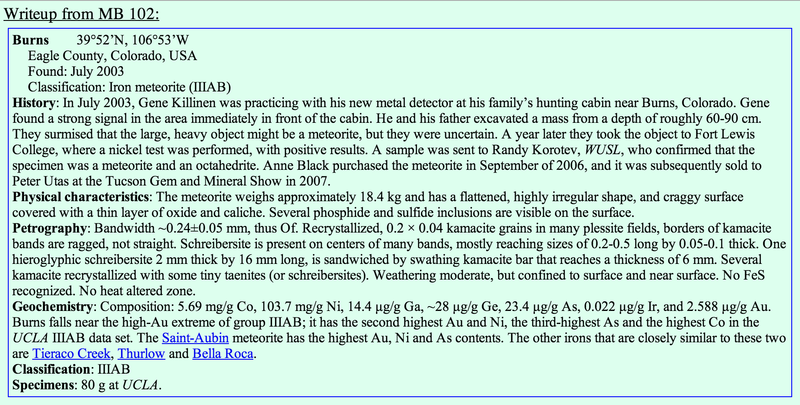 Of note; our purchasing the meteorite allowed it to remain intact. 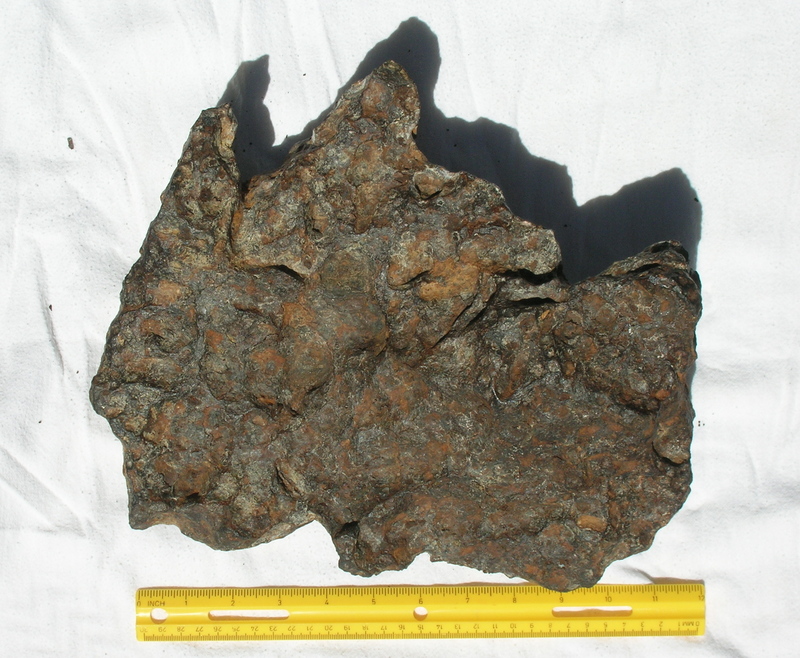 Two meteorite dealers were hoping to slice the iron. 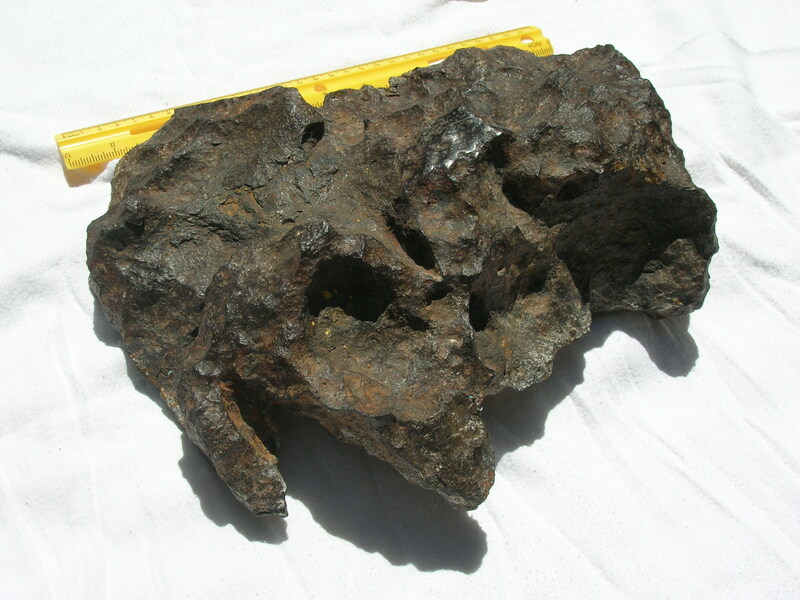 Given the iron’s spectacular shape and character, we are very thankful to Anne Black for allowing us to purchase the iron in its entirety. 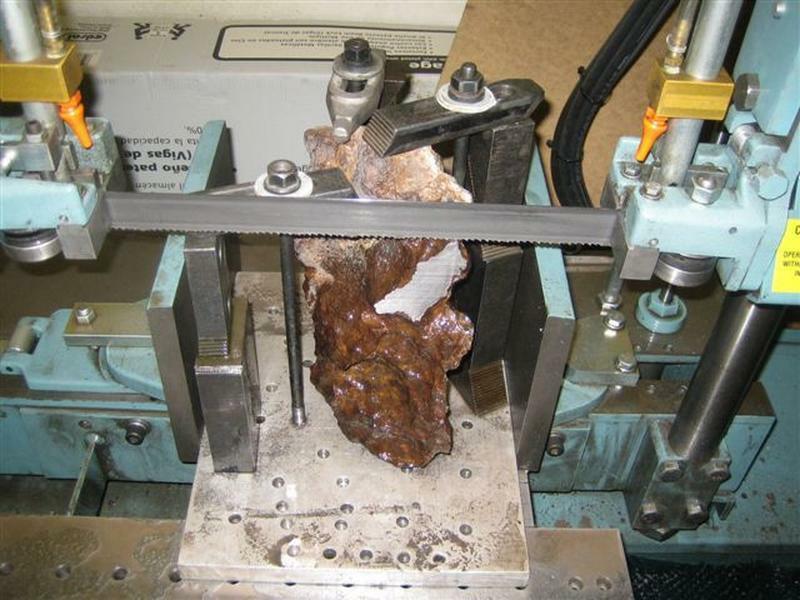 The corner being removed for analysis at the Montana Meteorite Lab – a very tricky cut!